Recently purchased a pair of auger blades for the old swede bore 8". Drilled a bunch of holes (about 15) on thin hard ice- approx. 5" of good ice. Half way thru a hole something was off, pulled auger out- checked didn't see anything in the hole- tried again and ended up checking out the blades. Found one had cracked and broke off and chunk of stainless blade was missing. The other one had a crack starting from the hole where the bolts go into. Clearly looks like a weak spot as I think the cracks all started from the holes.. 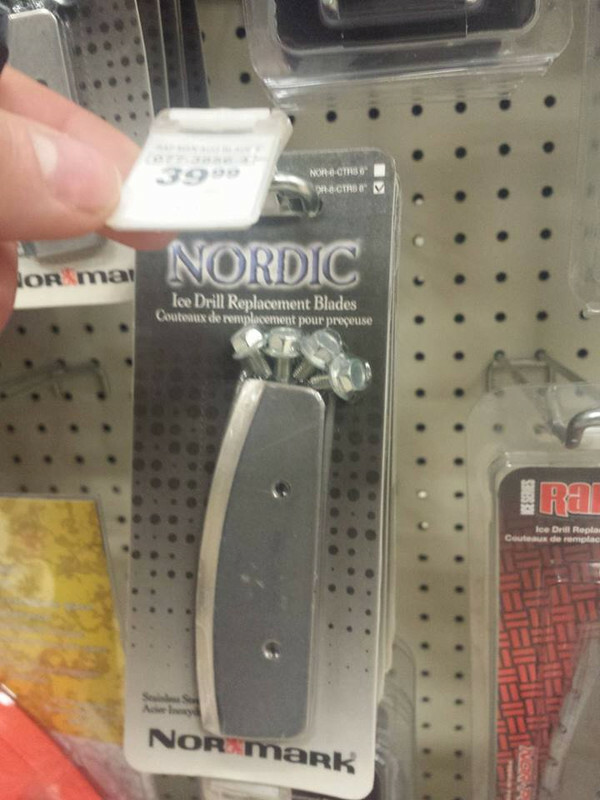 These were Nordic blades. Anyone ever seeing this before, I have not. 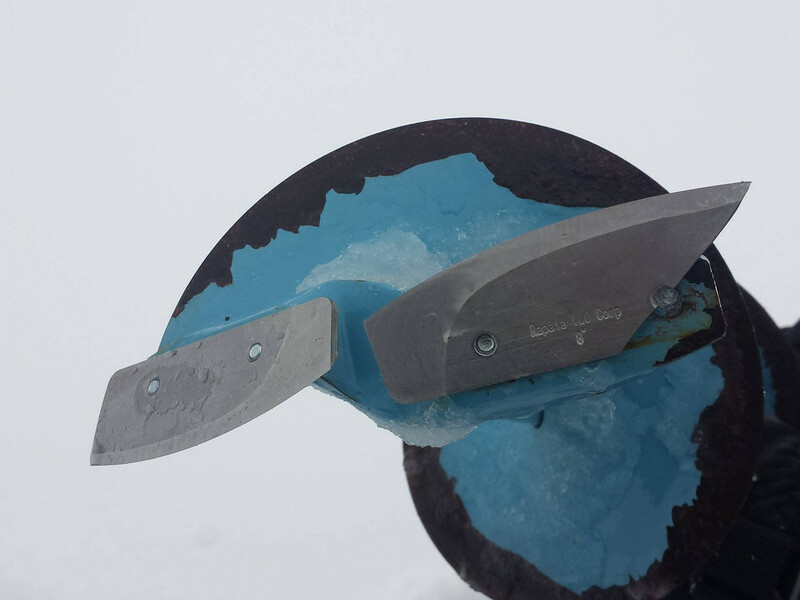 Blades cut very good, very sharp before this happened..
Ise de by who catches the fish...and takes em home to Liza. It's happened to me twice in one season. Brand new blades and Nordic brand blades both times. I believe they're Chinese made, definitely not Swedish. My third set are Swedish and no issues so far. Twice? 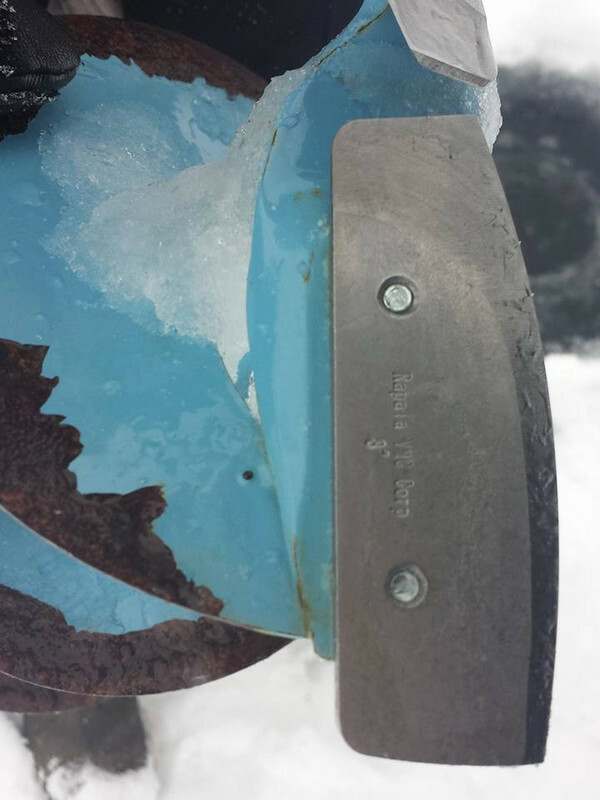 wow, Its gotta be the "Chinese" material in them then, ive never seen or heard of it before but its my first Nordic blades. Expensive one day out if gonna be costing what they did each time hehe..
Yup those are the same ones unfortunately. I should also mention both times it wasn't me augering when the blades broke, so I can't tell you if it was due to improper form or a blade catching on the bottom of the hole. Btw if you're near a Wholesale Sports they're selling 6" and 8" finbore augers at 30% off right now (at least at the location near me). They're excellent. I bought one three years ago and haven't used my other one since. I'll second the fin bore best ice fishing purchase i ever made. I've got 3 sets of spare blades or I would get another from wholesale, still waiting for 50% off though then I'll buy another one just because. very common, lots of chatter about the chinese crap on here. 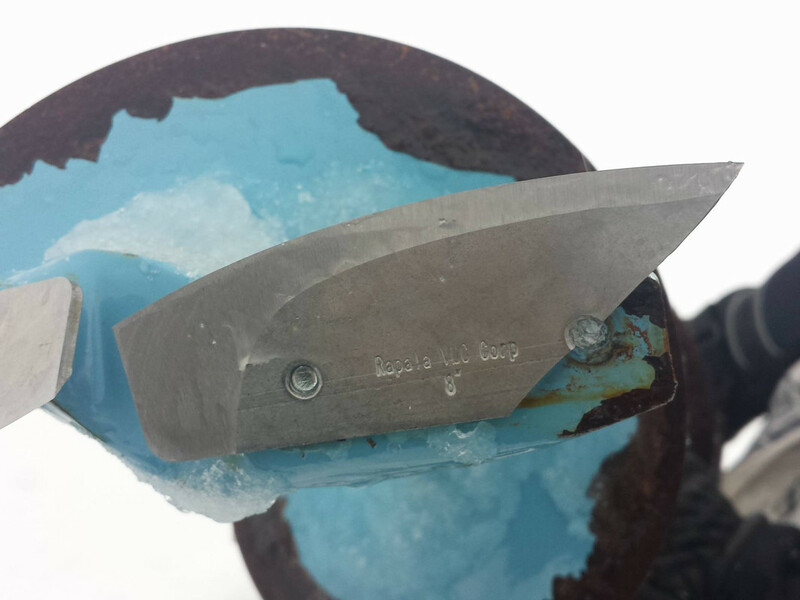 if you contact rapala or normark they will likely send out a new set of swedish blades. The blades are made of a very cheap stainless steel Chinese material. I can’t remember what the steel was off hand, but it’s very weak.